Yesterday, McDonald’s announced that over 90,000 employees will receive a pay raise effective July 1, 2015. After recent employee protests and slow sales, McDonald’s appears to be raising salaries to solve employee relation problems and improve its image with consumers. The pay increase will lift the average hourly rate for its U.S. restaurant employees to $1 above the mandated minimum wage on July 1, the company said. 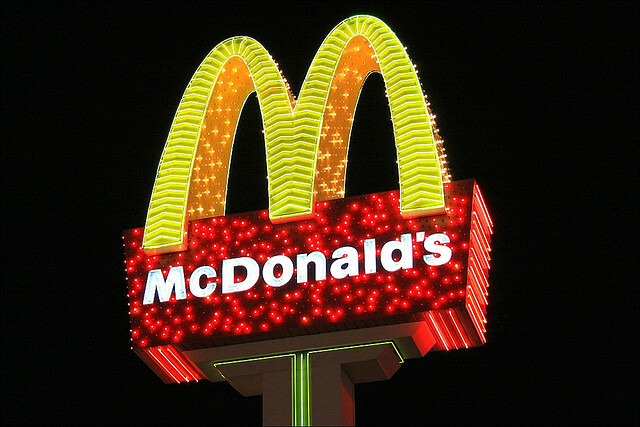 McDonald’s said it expects average wages to rise to more than $10 an hour by the end of 2016. In addition, McDonald’s will begin offering paid time off for some employee’s of its stores. Those employees who chose not to take the paid time off will be compensated monetarily for the same amount of time. An organization of fast food workers who have been pushing for chains to raise wages to $15 a hour criticized the increase as insufficient. “It’s a weak move for a company that made $5.6 billion in profits last year,” said Kwanza Brooks, McDonald’s worker from Charlotte, North Carolina who is associated with Fight For $15, an organization of fast-food workers that has been protesting wages. Find out more about McDonald’s plan to raise employee wages and benefits and the reactions to it at USAToday. What’s up, after reading this awesome post i am also cheerful to share my knowledge here with colleagues.